For your convenience, you can download the audios of most of our Mindvalley courses (and sometimes even program transcripts). Note: please keep in mind that most of our videos are not downloadable. To download a program audio from your Mindvalley account to your computer, the first thing you need to do is to log in to your account. Note: Most Mindvalley program videos are not downloadable so you'll need an internet connection to watch them. Once you’ve logged in, access the program you would like to download and click on the module of your choice from the upper right corner - "Contents". 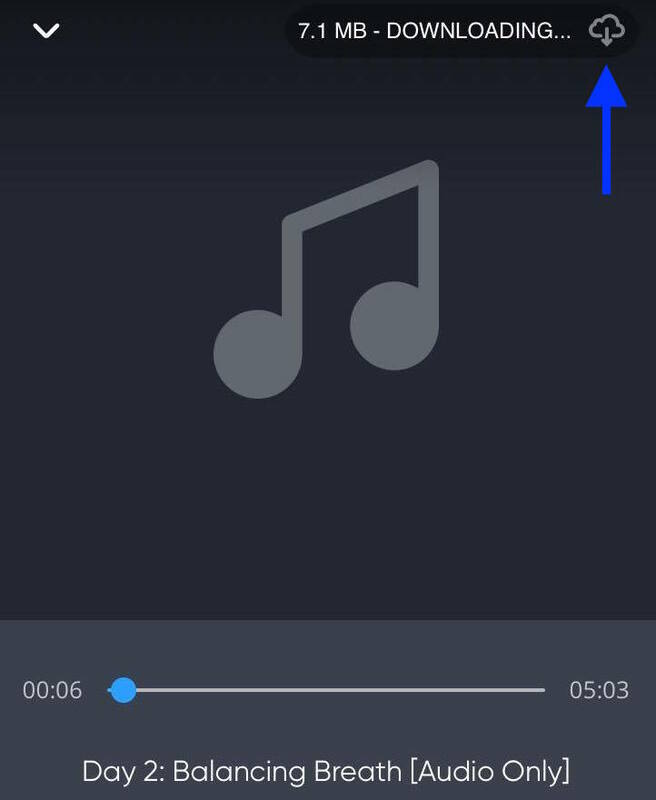 Find the audio track and click on the "Download" button. The audio files will be downloaded to your default set "Downloads" folder. Note: if your screen is zoomed in too much - you may not see the download button on the upper right corner of the player. In such case, just zoom out the screen ("command" + "+/-" on Mac; "Ctrl" + "+/-" on Windows) and the button will appear. Import the files to iTunes if you use an Apple device. Apple Support has a tutorial here. For iPhone, iPad or iPod tutorial click here. To learn how to transfer files from iTunes to an Android device click here. If you want to transfer files from your Windows computer to any Android device, here are a few ways of doing it. Then start playing the audio version of the chapter. Unfortunately, the videos are not downloadable. You will see a cloud icon in the top-right corner: just click on it. Once it has finished downloading the audio track to your device you are ready to go! Once you download it, the playback function will be active, so you can listen to your favorite lessons of extraordinary ideas and powerful mind-hacks whenever & wherever from your app itself.